There are millions of different ways to prepare borscht. 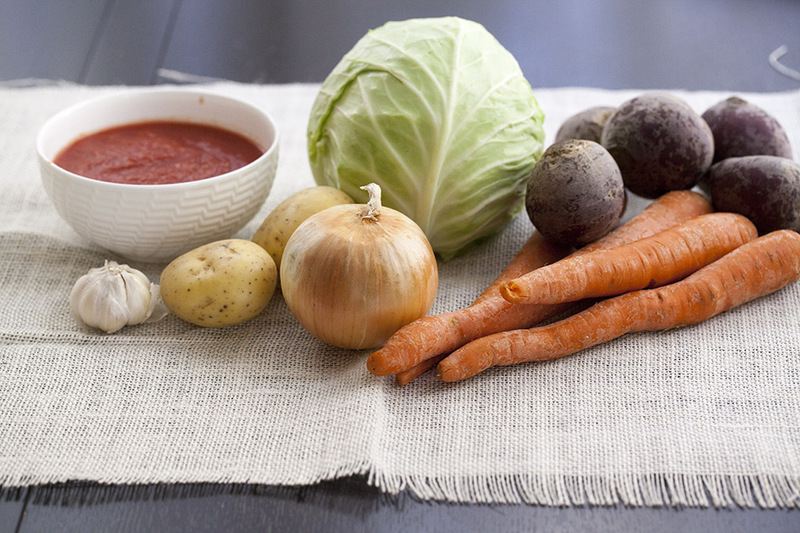 It is not a complicated soup to make. 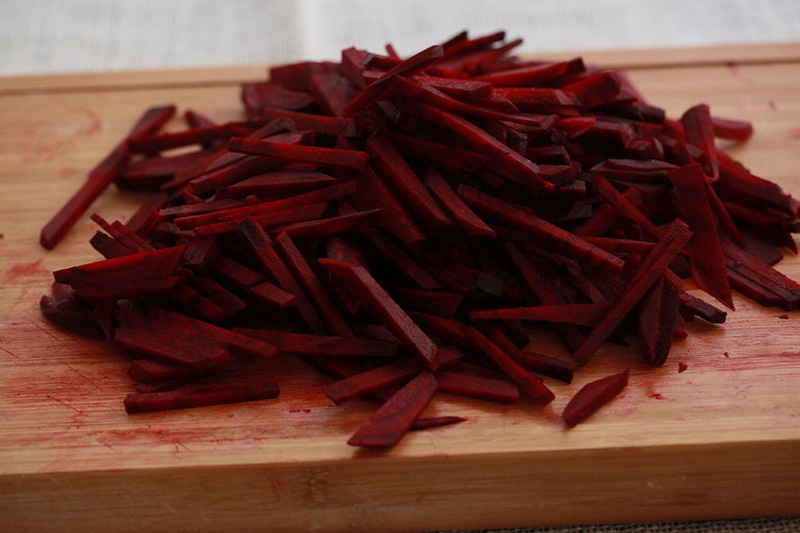 And as most soups often do, borscht taste better the next day. Usually, it served with a sour cream on top, but sour cream can be skipped if you do not eat dairy. 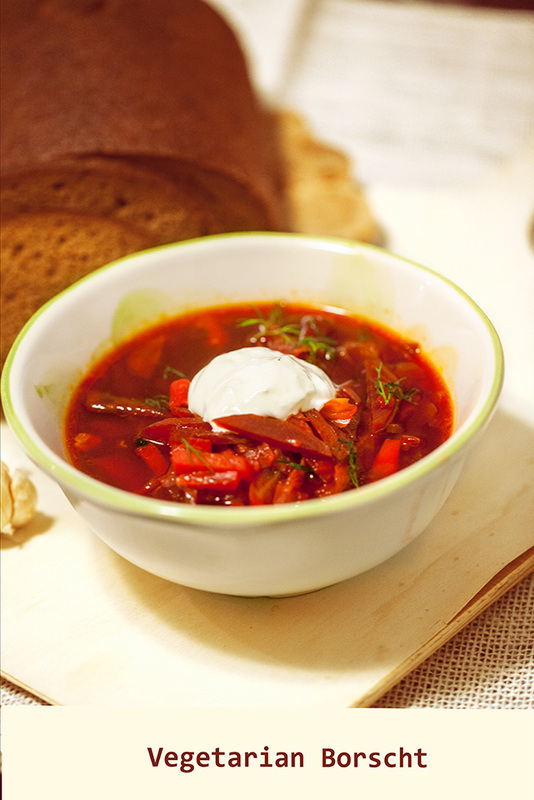 Whichever way you choose to eat it, borscht will make this fall and winter seasons a little more enjoyable. In a deep frying pan, warm 2 tbsp. olive oil over medium heat, add beats and sauté for 25 -30 minutes, stirring occasionally. 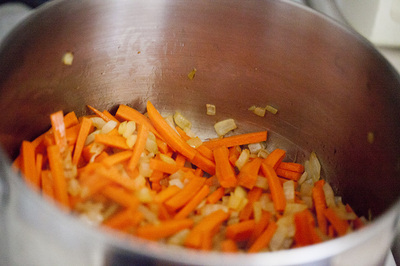 Meanwhile, julienne carrots and potatoes, shred cabbage, chop onion and mince garlic. If using raw tomatoes, chop and pure in a blander. 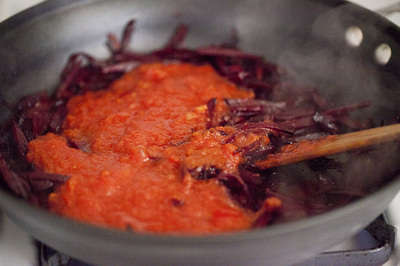 Add crashed tomatoes to beats, stir, reduce the heat to medium-low and cook for 20 minutes, stirring occasionally. 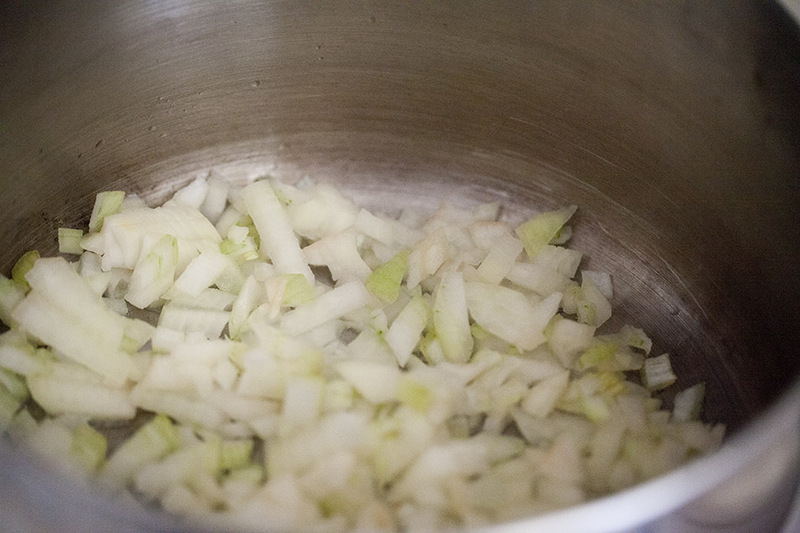 In a large soup pot, warm 2 tbsp. 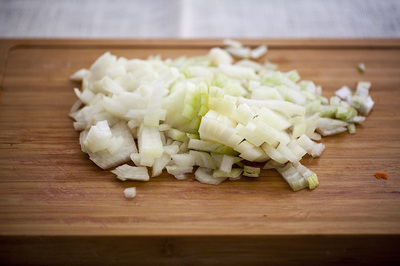 olive oil and add onion. Sauté for 5 minutes, than add carrots and continue cooking for 5 more minutes. 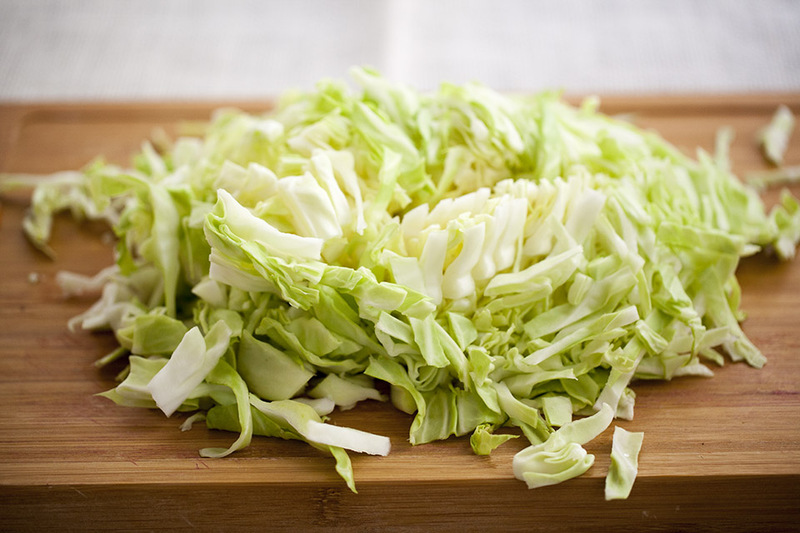 Add water, bring to a boil, add cabbage, potatoes, salt, pepper, bay leaf and beats with tomatoes, and cook for 30-35 minutes. Add garlic and remove from the heat. 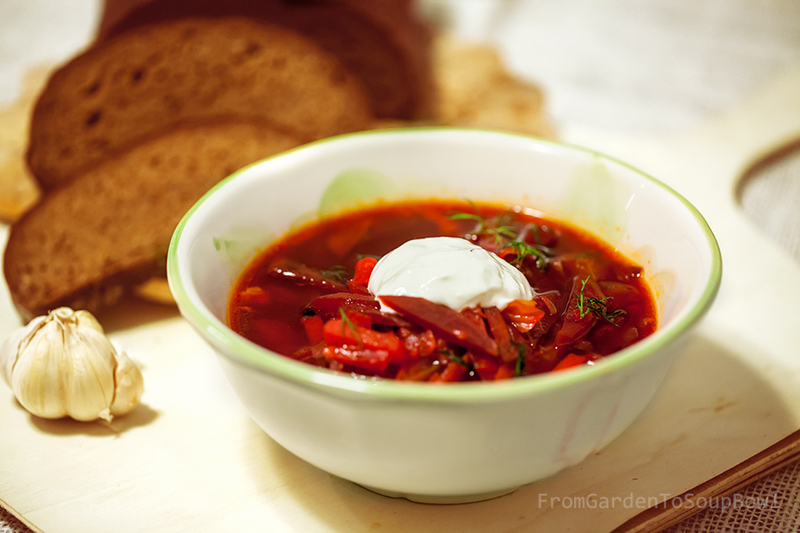 Garnish the soup with sour cream and a dill. 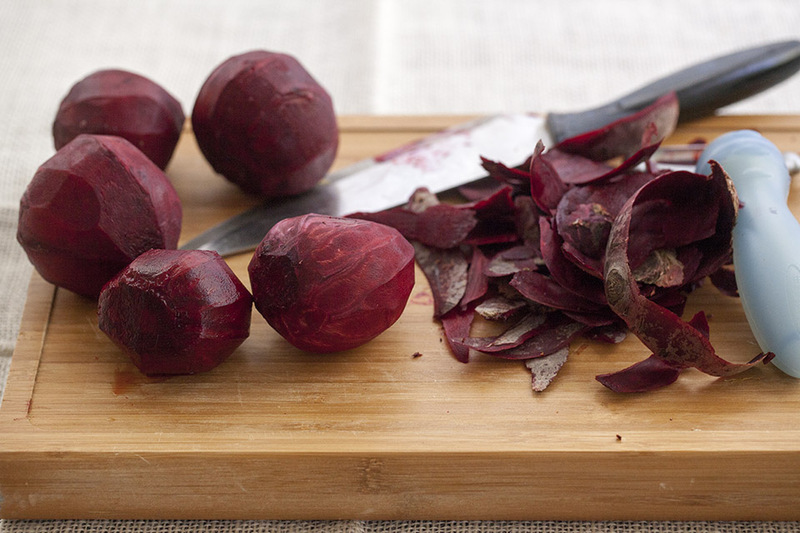 Tip: When you cook borscht, your goal is to find the perfect balance between sweet and sour. 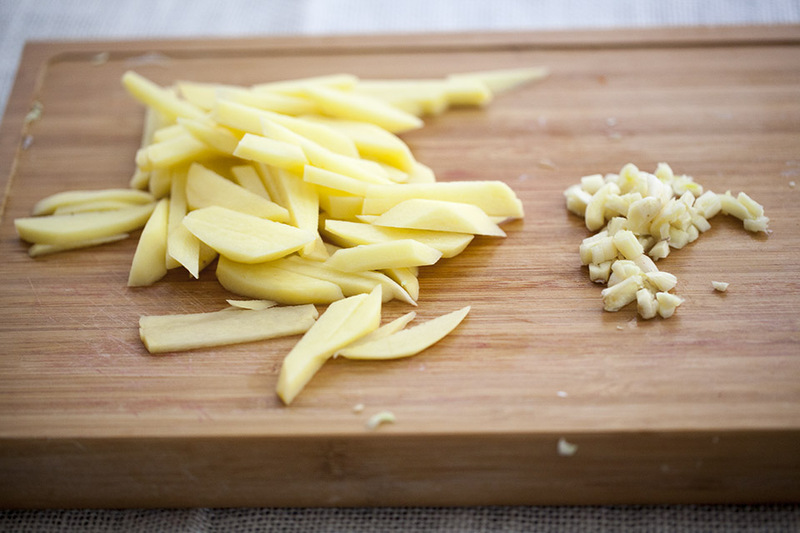 Therefore, you might add some sugar and lemon juice when putting together the final ingredients. 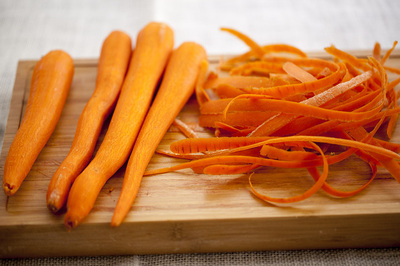 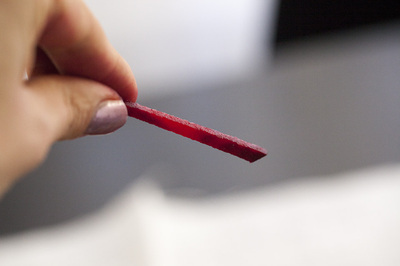 When food is sliced into even strips, it is called a julienne cut. A julienne cut may be of varying thicknesses, but it is usually square. 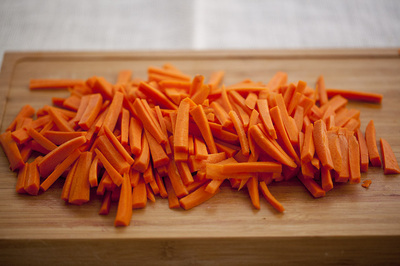 Do this by stacking several slices then cut straight down all the way through the stack, producing sticks or julienne.